The Street Football Association is proud to select and manage Street Football Team England. Street Football Team England is part of the FA’s official Club England structure and shares its headquarters, St. George’s Park, with England’s professional teams. 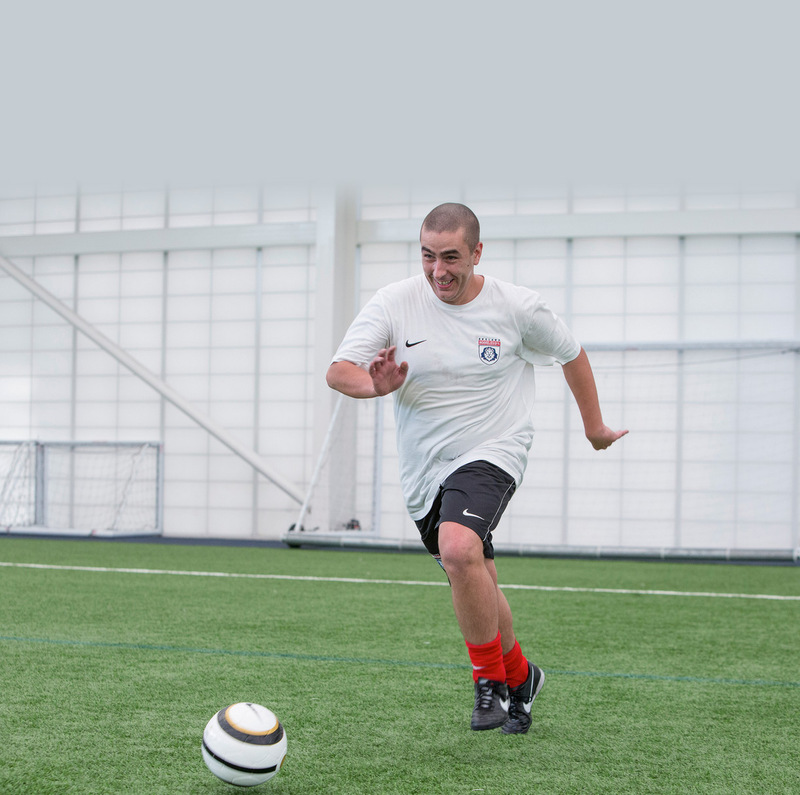 Every socially excluded adult in England has the chance to represent Street Football Team England. The squad is selected from players enrolled in Street Football Team England Progammes at professional clubs, using inclusive assessment criteria. There is a particular focus on positive attitude, teamwork, commitment, interpersonal and organisational skills, and improved health and well-being. Following on from players’ experiences at their clubs, the Street Football Team England programme incorporates intensive educational and personal development sessions alongside specialised street football coaching. Read players’ stories from previous squads on our blog. The Street Football Association is England’s designated national partner of the Homeless World Cup and organises Street Football Team England’s participation in it and other international street football events. Continuing the work of the Homeless FA, The Street Football Association also runs national and international street football festivals. In November 2015, The Homeless FA hosted the International Street Football Festival in Manchester. The event was the largest run by the Homeless FA and saw teams from the Netherlands, Mexico and Scotland join Team England in a week of football and personal development in a city of great significance to the sport. Copa90, the hugely popular football fansite and Homeless FA partner, sent journalist Iman Amrani to cover the event. See the piece below.